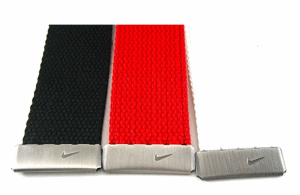 The Nike Web Belt 3 pack is an outstanding deal for the price. 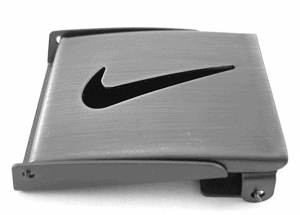 Nike always stays up with the latest athletic fashion trends and these belts are no exception. They come in standard 42″ lengths and are easily fit to your size. The pack comes with one buckle that is easily switched between belts, giving you tons of options to expand your golf wardrobe. 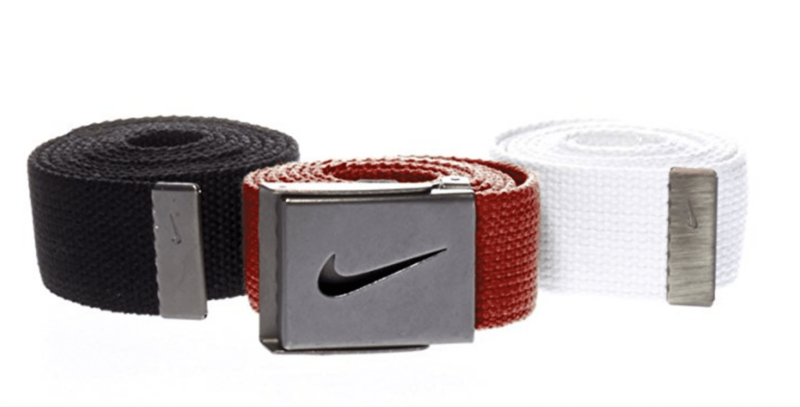 Up your game and look elegant with a touch of class while wearing any one of these Nike belts. You’ll look great swing the new Ben Hogan Irons or TaylorMade golf clubs. They are constructed of 75% cotton and 25% polyester. The belt buckle is silver-grayish color and looks simple, yet elegant. As mentioned earlier- it is easily adjustable and for some reason, has a bottle opener on the back side. We here at Golfer Geeks don’t see that getting much use. There is no “slippage” from the buckle- even after full rounds of golf or just everyday wearing… You can pair these belts with your other Nike gear- polos, pants, shorts, or any other golf clothing you choose, such as the Adidas apparel I feature here at Golfer Geeks. There really is no wrong way to do it.